I was shocked by people's outrage when popular plus-sized actress and singer Chrissy Metz was featured in a spread for Harper's Bazaar. I don't care what size you are, you shouldn't hold back from following your dreams just because of a number on a scale. I wanted to get an actual plus sized Pin-up Girl’s point of view on this topic, who would understand how it is to be a plus size pin-up girl better than one? I spoke to two Plus-sized Pinup Models who are taking the pinup fashion world by storm about their experiences in the pinup industry. "Here is the thing, there isn't a hardest part about being a plus-size pin-up girl. Sure a lot of retro brands still hire mostly the same cookie cutter stereotype of what a pin-up should look like. However, there is room for everyone. I never let my size define me or the opportunities I have. I would also add that the fact that I am a plus size pin-up doing retro inspired shoots makes me stand out, especially being a woman of color." "The biggest problem I face is the lack of clothing available. Whilst more companies are increasing their sizes, it can be very difficult to get things to fit. 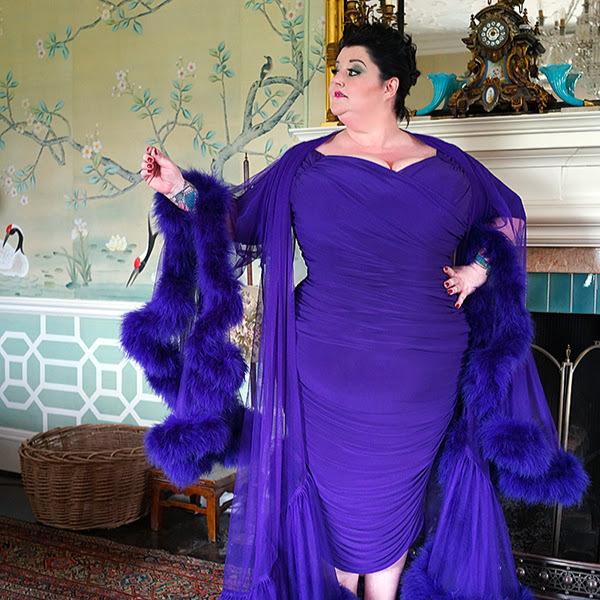 Original plus size vintage is pretty much non-existent in sizes above a 14-16, so we rely on reproduction, which some avid vintage people turn their noses up at due to a lack of authenticity. Also, the designs of some of the reproductions are problematic. Making a halter-necked dress for a plus size pin-up means either your bra straps are on show, or you have to resort to corsetry, which I do. Because someone is plus size, doesn't mean they are tall with it so lengths can be difficult too reaching mid-calf instead of knee-length for example The choices out there are definitely much better now than they have ever been, but it is still disproportionate and simply not good enough."